A long-held and told notion throughout the years is the idea that money can’t buy happiness. In a consumerist society, it’s something we hear often to remind us of the truly important things in life like experiences, our health, and loved ones. 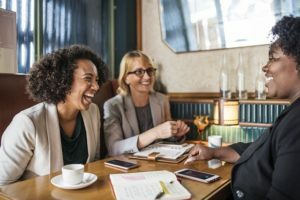 While in many cases that’s a true statement, as items tend to only make you happy for a short time until you want more, there are ways in which money can provide you with a happier more stress-free life. Here are four ways money can buy you happiness. Investing your money wisely ensures that you’ll be better prepared in the future. Not only will you have the potential to grow your money into more, you’ll also have the ability to wisely build a fund for your retirement. By doing so, you’ll pave the way for a day when you hopefully won’t have to worry about money, and when you do decide to retire, will actually be able to retire. So, while this might not be immediate happiness, come retirement, your investments will help provide a life of contentment. Most financial advisors would tell you to make debt elimination your first financial focus. Debt, no matter how much you have, hangs over your head like a dark cloud until it’s gone. Moreover, the longer you take to pay it off, the more you’ll have to pay. Debt inhibits you from doing other, more important things with your money, which is why paying it off not only frees you up financially, but paves the way for you to reach your financial goals as well. When you see something you want it can be hard to resist. As mentioned, things, however, only bring satisfaction for so long until they leave you wanting more or they wear out themselves. Experiences on the other hand, last forever. Spend your money on that vacation you’ve been dying to go on, have a wonderful dinner, or take up a new hobby. You’ll create lasting memories you can always look back on. In our busy world, time is the one thing most people feel like they could always use more of. That being said, one surefire way to buy happiness is to buy yourself some time. If you have the funds, use some of your money to hire out certain household duties. Have someone mow your lawn, clean your house, order takeout every now and then, and take advantage of public transportation. Giving yourself a little extra time back will allow you to do a little more of what you love. Money isn’t the most important thing in life. Nonetheless, you do need it to live and, if spent wisely, having a little extra can help make life easier. Having financial freedom to spend it towards your goals, experience the great aspects of life, and buy back some of your time, can mean your money will truly buy you some happiness. What’s a great experience you could spend your money on? How does money buy you happiness?